WHAT'S IN MY BAG. SUMMER MAKE UP EDITION. BECKI. | Life Looks Perfect. WHAT'S IN MY BAG. SUMMER MAKE UP EDITION. BECKI. We are hopefully in the height of Summer now, with less showers and more sunshine! Just a shame that I have to work so hard in the Summer, I feel I always miss out on the nice weather and ice cream eating! But hey, luckily I still get some time to rock a beautiful face of make up and feel back to my usual self. 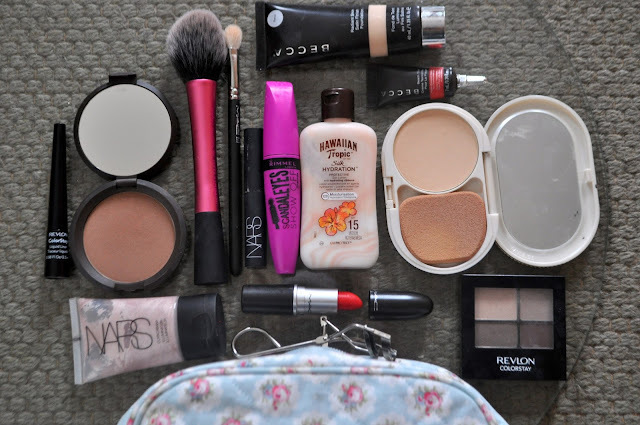 Here is a sneak peek inside my usual summery make up bag. Of course always best to start with sun protection. I only use a few products with SPF in as I find that nothing can really protect you from blazing heat, so I always make sure I use my trusty Hawaiian Tropic Silk Hydration on my face and body. I love this lotion, it is so silky smooth on your skin and it smells like holiday! Next is my foundation. I have been trying out Becca's Radiant Satin Skin Finish Foundation c/o that looks amazing on my skin. It has a fab glow that looks almost dewy finish. The shade Sand, that was picked for me, by a quick skin match test and matches my skin tone perfectly. With a medium coverage, I then go lightly with Paul & Joe's Protective Powder Compact Foundation with SPF 22 c/o. I lightly use it across my forehead and down my nose as they tend to be my more oily areas. This too has a great coverage, so I then finish my base with Nars Concealer in Vanilla, which matches my foundation and powder perfectly. 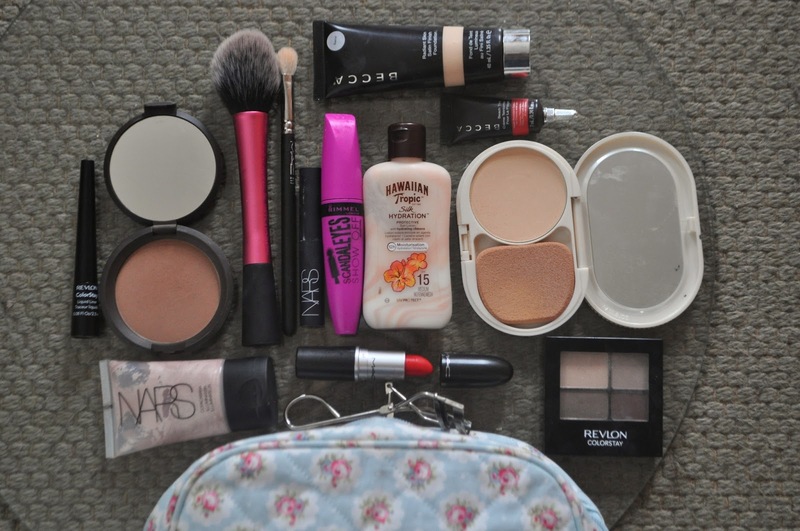 To get that Summery shimmer and glow, I have started to use bronzer. 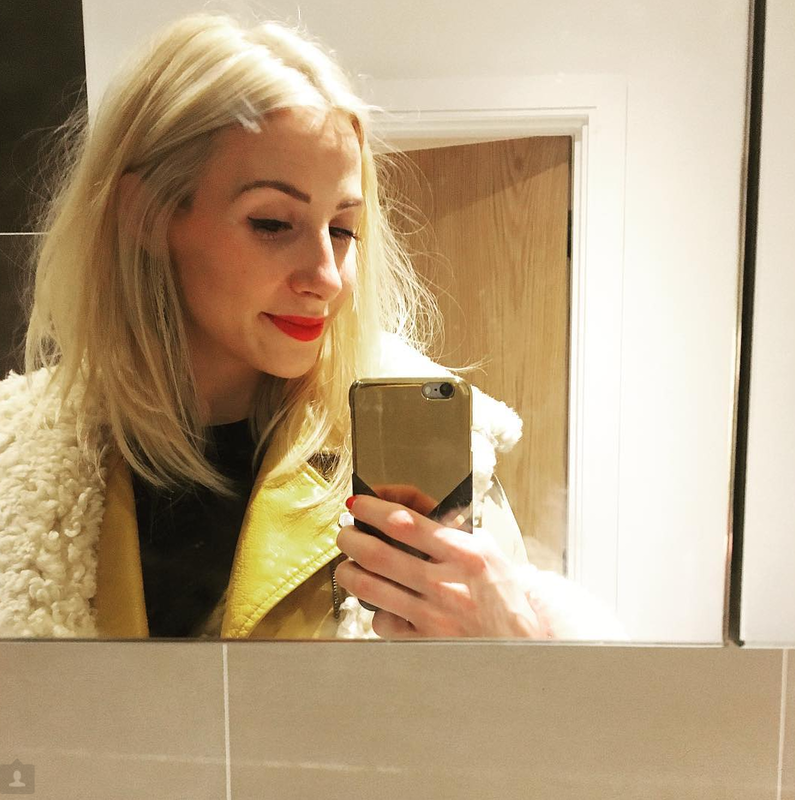 The shock and horror over Becca's head make up artist's face, at the Becca make up launch last month, as she heard me say "I have never worn bronzer before or know how to apply it"...she quickly grabbed her brushes and gave me a quick intro. I must admit, I love the look of bronzer on my skin. Always thinking it was for ladies with a tan or certainly darker skin than my white ghostly face, I have been so happy with the finish that bronzer has on my face. I use Becca's Mineral Bronzing Powder c/o, in a 3 shape across my forehead, cheek bones and jaw line. I only use a very light amount but it gives my face more definition and a healthy glow. For this I use Real Techniques Blush Brush. If I don't have my brushes on me, I have been using a quick splash of Becca's beach tint in papaya c/o, which blends quick and easy onto my cheeks. To enhance area's of my face, I use Nars Copacabana highlighter, down my nose, above and below my eyebrow and along my cheek bone. This light pink pearl highlighter is very similar to Benefit's High Beam but it has a creamer texture. For my eyes, I like to keep things simple, with a light white eye shadow from my Revlon Colourstay Quad in Addictive, applied with my Mac 217 Blending Brush and a flick of black eye liner over the top. Then I give my lashes a quick curl using Space NK's basic lash curlers c/o. At the moment, I have been using Rimmel's Scandaleyes Show off mascara , which lengthens and doesn't clump my lashes up. It is a big old mascara but for my long lashes, it works for me. 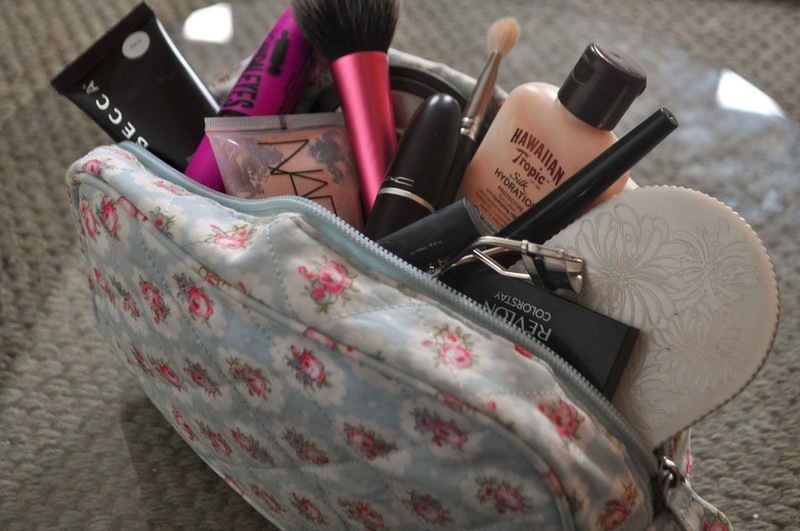 Finally, it couldn't be my make up bag without a fab POP lip! So still my current fav is Mac's Lady Danger Matte Lipstick . Hawaiian Tropic Silk Hydration150ml £7.49, Becca's Radiant Satin Skin Finish Foundation in Sand £32.00 c/o, Paul & Joe's Protective Powder Compact Foundation with SPF 22 c/o, Nars Concealer in Vanilla £18.00 , Becca's Mineral Bronzing Powder £32.00 c/o, Real Techniques Blush Brush £9.99, Becca's beach tint in papaya c/o, Nars Copacabana highlighter £22.00, Revlon Colourstay Quad in Addictive £7.99, Mac 217 Blending Brush £18.00, Space NK's basic lash curlers c/o, Rimmel's Scandaleyes Show off mascara £6.99, Mac's Lady Danger Matte Lipstick £15.00 & Make up bag from Cath Kidson. 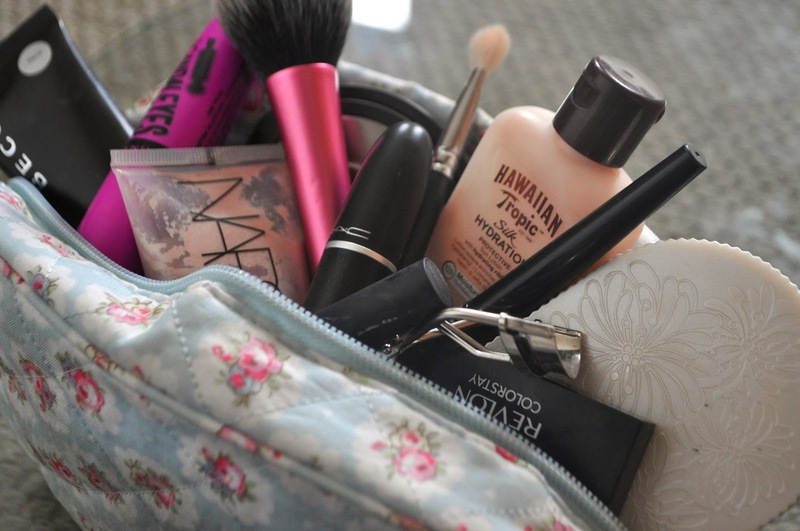 What's in your Summer Make up bag? It is perfect for pale skin and is so soft on your skin :) Fab product!